Occupying the most southwestern part of the United States, Southern California has a Mediterranean climate for the most part, with hot, dry summers and mild, moist winters. Coastal areas can be subtropical and without freezing temperatures. Inland, mountain ranges and plateaus have cold, snowy winters. Interior valleys and deserts present dry, hot desert conditions. U.S. Department of Agriculture plant hardiness zones go from 5a through 11a. The best time to lay sod depends on where you live in Southern California and what variety of sod you're using. A gardener lays down new sod. For warm-season areas of Southern California, several kinds of sun- and heat-tolerant sod grasses are common. The best time to install these grasses is in mid to late spring, although they can go in at other times as well. Cooler spring temperatures help to prevent sod from drying out before it roots in, and fast root and leaf development occurs in summer. For instance, lay bermudagrass (Cynodon dactylon) sod, which is hardy in USDA zones 7 through 10, from March through November. Zoysiagrass (Zoysia angustifolia) grows in USDA zones 9 through 11 and can be planted in spring or summer. Cool-season grasses grow actively during fall, winter and spring in mild winter areas and in cool summer areas. The best time to install them is in early spring or early fall. In Southern California, fescue (Festuca arundinacea), which is hardy in USDA zones 5 through 10, is popular. Fescues aren't suitable for low desert or mountain areas. Kentucky bluegrass (Poa pratensis) grows in USDA zones 3 through 8. It's often available as a blended sod, with several bluegrass or other cool-season species combined in one product. In coastal areas where mild temperatures can prevail year round, the best planting time depends on the species of sod. Spring or summer is the best time to lay seashore paspalum (Paspalum vaginatum) sod, which is hardy in USDA zones 9 through 11 and is tolerant of salt spray and drought. Its deep roots penetrate soils to anchor the sod and hold soil in place. Consider perennial ryegrass (Lolium perenne) sod in coastal areas where fog prevails, and install this cool-season grass in early fall. Southern California's variable topography allows a wide variety of sod types to prosper depending on the site and the type of lawn needed. Buffalo grass (Buchloe dactyloides) is a warm season grass native to the Great Plains; plant this sod in spring so it's well established before winter's dormancy. This low-maintenance grass is useful in native plant gardens, for erosion control and other areas that don't get foot traffic, and is hardy in USDA zones 3 through 9. 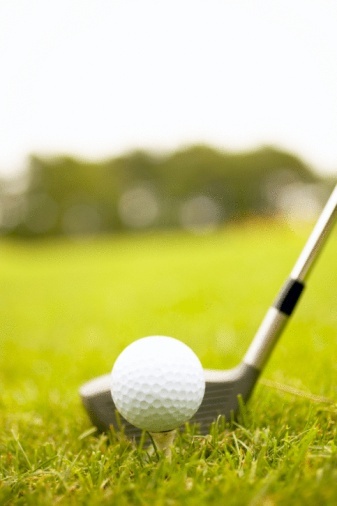 Most types of sod for Southern California prefer sunny areas. For partial shade, consider Saint Augustinegrass (Stenotaphrum secundatum), which grows in USDA zones 9 through 11; plant it in spring or summer. All sod types have the same basic installation and care requirements. Site preparation entails removing any plants, rocks or debris. Till and finely rake the surface, watering it a day or two before sod installation for a moist, not soggy, surface. To care for sod before you lay it, pick it up or have it delivered the same day you lay the sod, and lay it all that same day, keeping unlaid sod regularly sprinkled until put down. For the first row of sod, mark a straight line through the length of the site and unroll sod alongside. 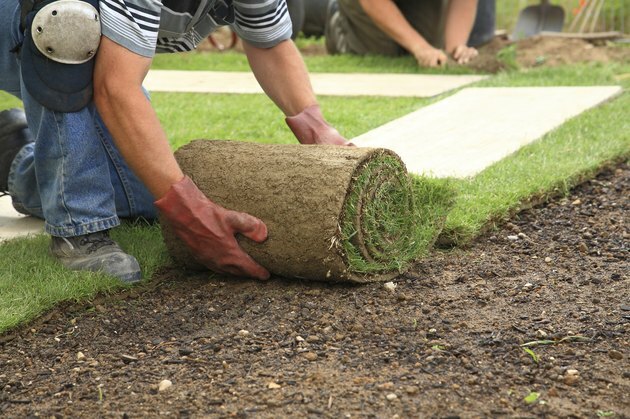 In subsequent rows, cut the first sod roll with a clean, sharp trowel or carpet knife so its end is staggered away from the ends of previously laid sod -- similar to laying bricks. Edges should be tightly up against each other. Sprinkle installed sod every 30 minutes to keep roots alive. Right after laying all sod, go over it with a lawn roller. For successful root establishment, water sod lightly but frequently several times a day for up to two weeks to keep the sod moist.